This year, I received the best Valentine’s Day present ever. The DH gave me Center Ice. Hockey seven days a week, games on the East Coast, games on the West Coast, games in the Canadian hinterlands (I’m talking about you, Winnipeg!). Games in the desert. Games in the mountains. 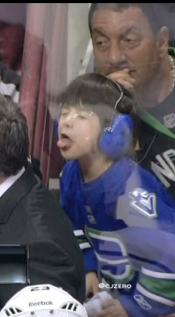 Even games in the subtropics. It’s glorious! 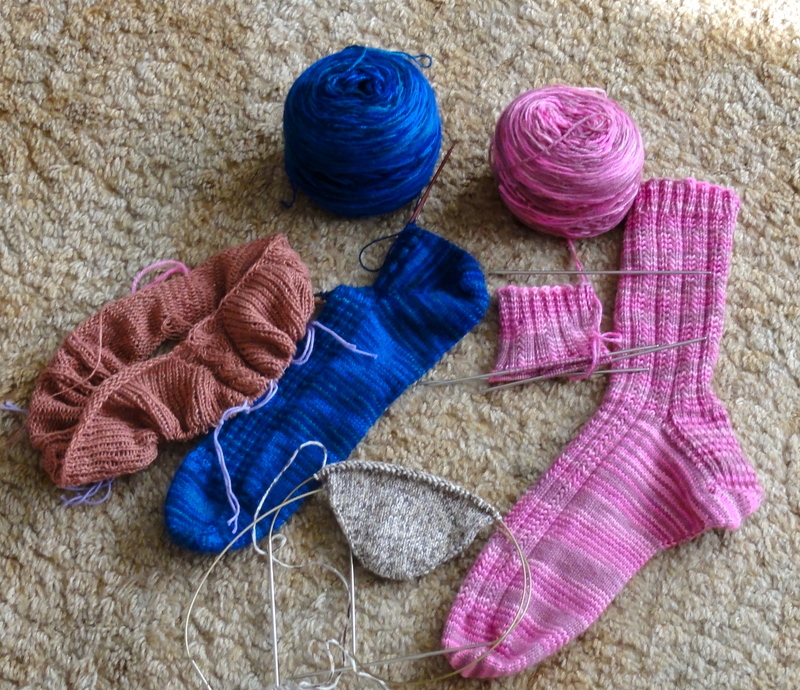 From right to left, She Loves You Skyp sock # 1 is finished and sock # 2 is well under way. I put the gusset decreases on the sole of the foot on either side of the two center heel stitches. I’ll share the results in another post. Very little progress has been made on the Sporty Spice Socks, but that’s mostly because I tried two different rib patterns for the instep and didn’t like either. After much knitting, ripping, knitting, and ripping again, I decided to just knit the foot in plain stocking stitch and save the ribbing for the leg. With this sock, it was two steps forward, one step back. The 3 x 2 Rib Socks are coming along nicely. The foot of sock # 1 is done, the heel is turned, and the leg has been started. Last but not least is the Bayside Pullover from Coastal Knits, which I finally cast on Saturday. It isn’t far enough along to be able to show you any detail yet, but I will be telling you all about it as I knit it. The sweater will probably be the featured project on WIP Wednesday. This entry was posted in Knitting, Socks, Sweaters and tagged Bayside Pullover, hand knitted socks, knitting and hockey, Simple Skyp Socks. Bookmark the permalink. What a cool present! Lucky you!